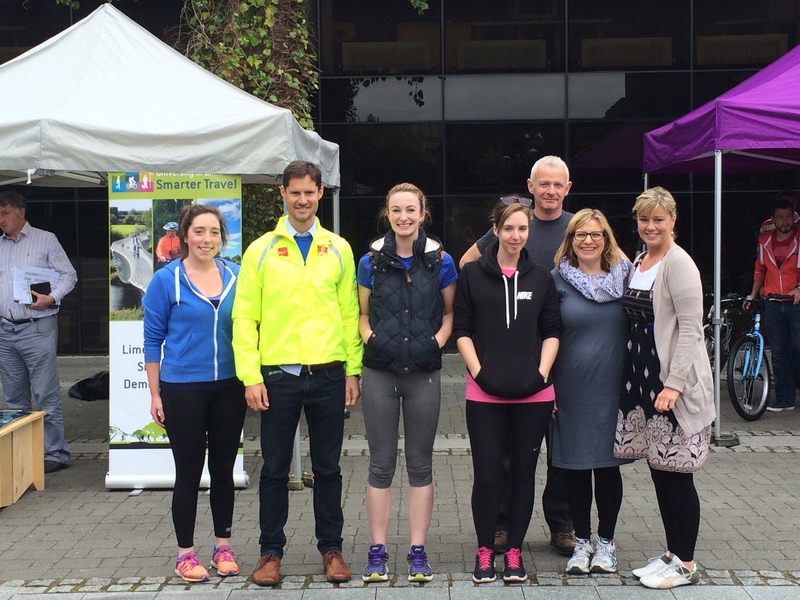 Sixty five UL staff members in thirteen teams have already signed up for this year’s National Smarter Travel Pedometer Challenge. Teams of three to six must complete as many steps as they can over the four-week challenge. Last year, the overall national team was UL’s very own Green Team, comprising porters and other members of the Buildings and Estates Department. The Green Team have registered again this year and will be hoping to reclaim the national title. This year’s event kick-started with a lunchtime campus walk under yesterday’s beautiful sunshine. Best of luck to all UL teams participating.